Wrap your kid in this adorable receiving blanket. It comes in a pleasant shade with cute print all over. 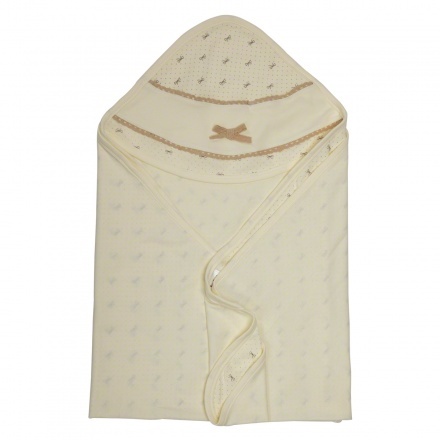 It is made from extra soft, warm fabric that makes it perfect to swaddle your kid in. The bow-embellished hood makes it endearing.